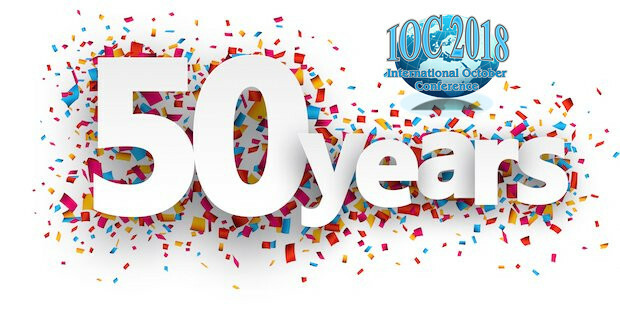 The Organizing Committee of the jubilee 50th International October Conference on Mining and Metallurgy (50th IOC) announce a first call and invite you to submit your papers. The 50th International October Conference on Mining and Metallurgy has been organized jointly by the Mining and Metallurgy Institute Bor and the University of Belgrade, Technical Faculty Bor. The 50th IOC on Mining and Metallurgy aims at providing a forum for presentation and discussion of scientific research, technological development and practice on the subjects of mining and metallurgy by scientists, experts and representatives of the related sectors. The topics of the 50th IOC will be geology, underground mining, surface mining, mineral processing, extractive metallurgy, metal processing, materials science, inorganic technology, environmental engineering, industrial engineering, recycling technologies, energetics, manufacturing technologies, quality management, software engineering applications, mechatronics, machining, design and construction, and other related fields. It will be a good opportunity to meet old friends, make new contacts and to exchange useful information. Please find enclosed a first circular and inform and send it to the other colleagues.